We all have those days where we just need a cookie. I’m a firm believer that no day is so bad that it can’t be made better (even a teeny bit!) with a hot bubble bath and a homemade cookie. Well, friends, I’ve got the cookie for you. 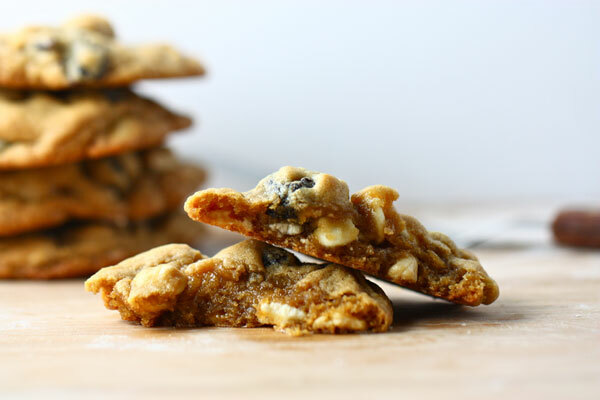 White chocolate chunks, cashews and dried cherries put these cookies over the top. You’re going to love them and I promise they will make your day better. Or someone else’s if you decide to share. 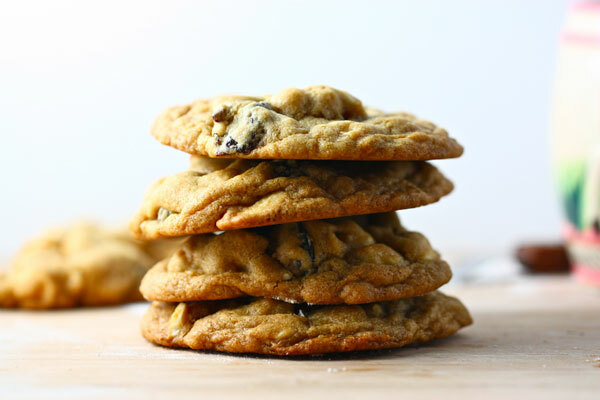 These white chocolate chip cookies combine salty and sweet flavors for a treat that no one can resist. The additional tartness of the cherries puts these cookies over the edge. Jenna Weber shares her twist on an old favorite in a full post on the Fresh Tastes blog. Cream together the butter and sugar. Add the eggs one at a time, beating after each one. Add the vanilla and mix gently to combine. Add the flour to the butter and mix. 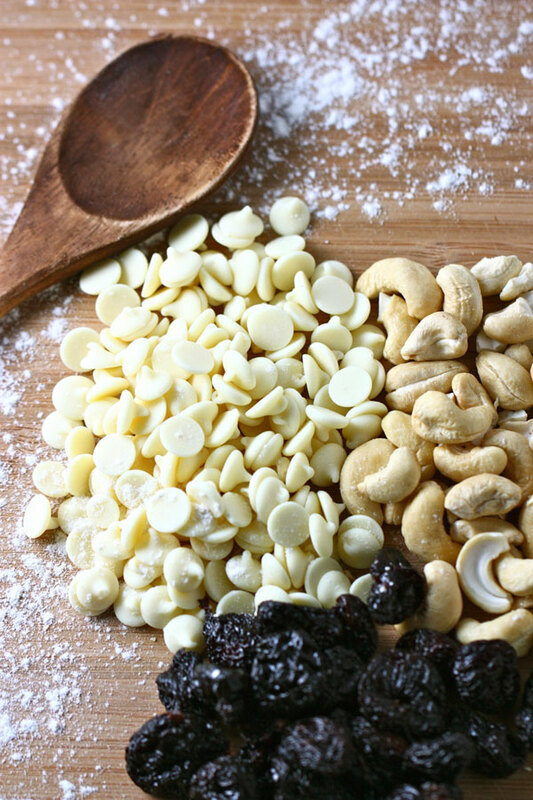 Carefully stir in the white chocolate chips, cashews and cherries. Bake at 350 for about twelve minutes, or until golden.